This book unveils an amazing theory. Our lives have five dimensions that are essential for living a healthy, successful, and tranquil existence. These are our financial, social, internal, physical, and spiritual affairs. 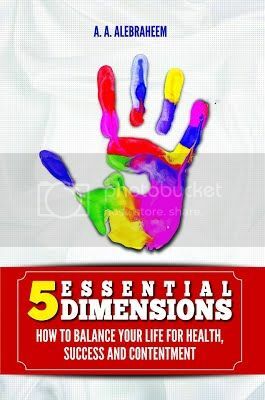 This book offers insight into helping us recognize the five life dimensions. It will teach us how to bring these dimensions into balance. We cannot reach our potential as individuals unless all five of these life dimensions are balanced. If we neglect any one of them, the ensuing disharmony destroys our tranquility and can wreck our lives. The 5 Essential Dimensions is an attempt to prevent this happening. If you happen to be a good cook, you’d know that it is not necessary for each individual ingredient of a broth to taste good on its own. Some may be bitter, others sour, or sharp. But by combining them in a recipe you achieve a delicious result. The secret is in having a recipe that balances all the constituent elements to achieve a whole that is far better than the individual ingredients. The same applies to all walks of life. A car factory may be greasy and noisy, but from it rolls a succession of perfect, shiny, beautiful machines. It is possible to achieve balance in our lives, but to do so we need to ask the right questions. Do not ask “How do I make money?” Instead, ask “How do I achieve equilibrium in my monetary affairs?” Because searching for equilibrium reveals the wisest course to follow, no matter what the issue. Many people focus so much on trying to make money that they sacrifice either social equilibrium or spiritual equilibrium in the process. They help no one, and ignore morality. Take drug dealers, for example; they make money, but they do it by a process that destroys families, and offends both morality and society. Their very existence is a threat to others. Similarly, the man who makes money but does it at the expense of taking the time to raise his children properly, or looking after his parents, or being attentive to his wife; such a person destroys his social equilibrium. 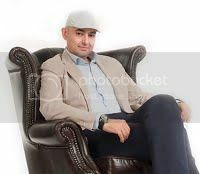 He is wealthy, but cannot be considered successful. If he neglects important areas of his life and focuses just on one, he is like a student who learns only one subject. He may excel at chemistry, but will fail all his other exams, and will be unfit for the world of work. If we make equilibrium our goal we will avoid this failure. We will accord each aspect of our life the value it is due, without trampling on the others. We will pursue money only up to the point that it maintains our financial equilibrium. And when our needs are met we will address other areas that require our attention. In this way, we will maintain our internal equilibrium. A.A. Alebraheem is a column writer for Kuwait’s bestselling newspaper, ALQABAS. Alebraheem writes about philosophy, spirituality, ethics and politics. His theory, “5 Essential Dimensions”, builds upon a strong argument that life consists of 5 elements: finances, sociability, internal aspects, physicality, and spirituality. He offers a perspective that will help us to recognize these elements, and provides suggestions to keep them in balance for a better life. Alebraheem’s writing attempts to see things from alternative angles, searching for patterns and creating successful habits for life.